Take a look at this 1994 Chevrolet Camaro LT1 6 speed here on eBay bidding for $1,575 with auction ending next Tuesday. Relist due to no contact non paying bidder! Don't miss out, these will only get more pricey as time goes by! If you are looking for a budget friendly sunny day cruiser look no further. 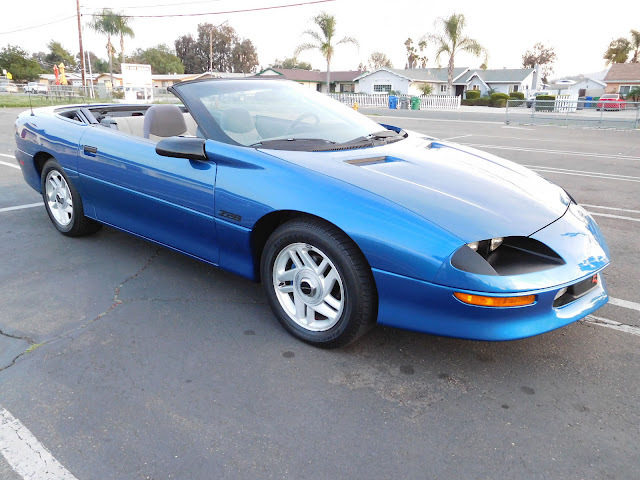 Rare unmodified 1994 Z28. Under 86,000 Miles. Fun to drive, bulletproof 6 speed manual. Aluminum headed LT1 based off the tried and true 350. Plenty of power with good fuel economy to boot. Nice body. No rust. Some minor flaws in the paint but hey it's a 22 year old car and it still shows nicely. Very nice interior. No cracks in the dash and that's extremely rare. Even the seat bolsters are nice. Factory CD player. 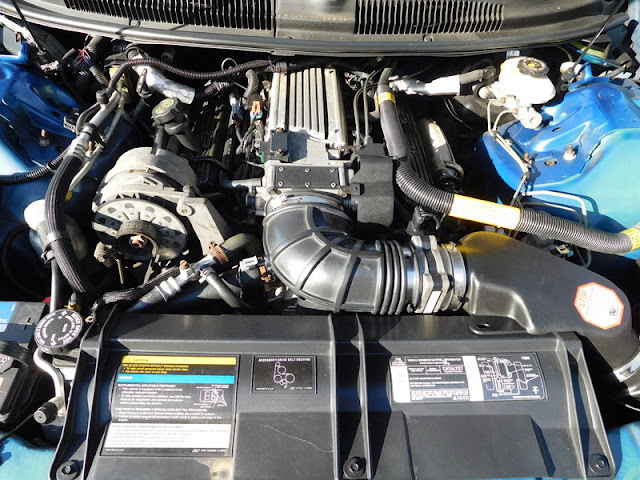 A/C is intact but needs servicing. Power top works. Top canvas is original and to be blunt it's worn. It doesn't leak but it's the weak point on the car, who drives a ragtop with the top up anyway? This is a nice car to use as is or modify to your liking but one thing is for certain Z28's are going up in value not down. Have a question? Call or Text me @ 619-820-4737 My name is Jeremy. If I miss your call I will return it as soon as I possibly can. Bidding is fun but DO NOT BID if you do not intend to complete the transcation! Want to buy the car? Send me a message and let's make a deal! $500.00 deposit due via PayPal within 24 hours of offer acceptance. The balance to be paid within 7 days of offer acceptance by bank wire or cash in person only. The car will not be released until all funds are clear, no exceptions. Sold on AZ title and will need to be registered in your home state. Make any inspections before making any offers. As with all used vehicles I sell they are AS IS WHERE IS with no warranties expressed or implied. I appreciate your interest! Have A GREAT day! Six generations, not seven. I was obviously dropped on my head as a baby. a) The '69 is maybe the best looking car ever built. c) The late 'retro' cars - bah. 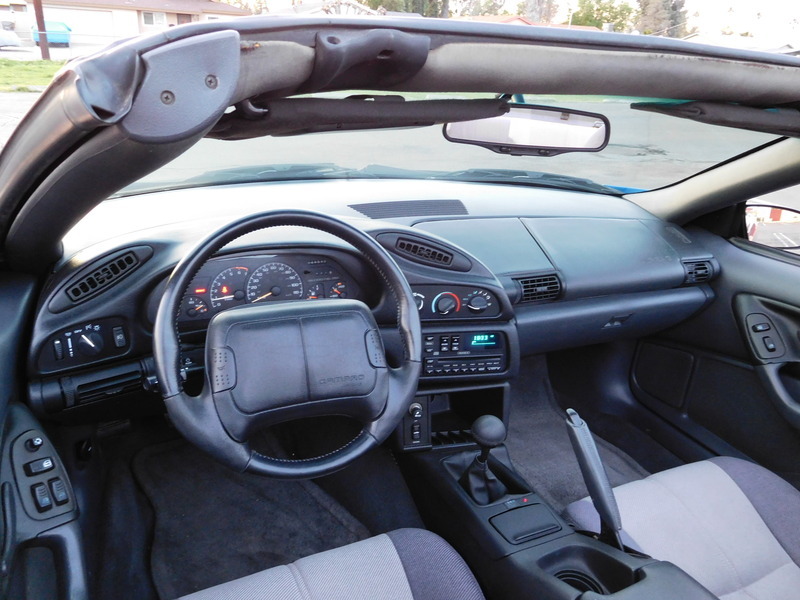 I won't even discuss the most recent 'retro' Camaros because they're horrid garbage (the outward visibility on those and the Benz CLS is a product-liability class-action waiting for an injured pedestrian). Back in the day, everyone was screaming at GM - 'The fast cars are too expensive! Make a really fast cheap car and everyone will buy it!' And, for one brief moment GM did. 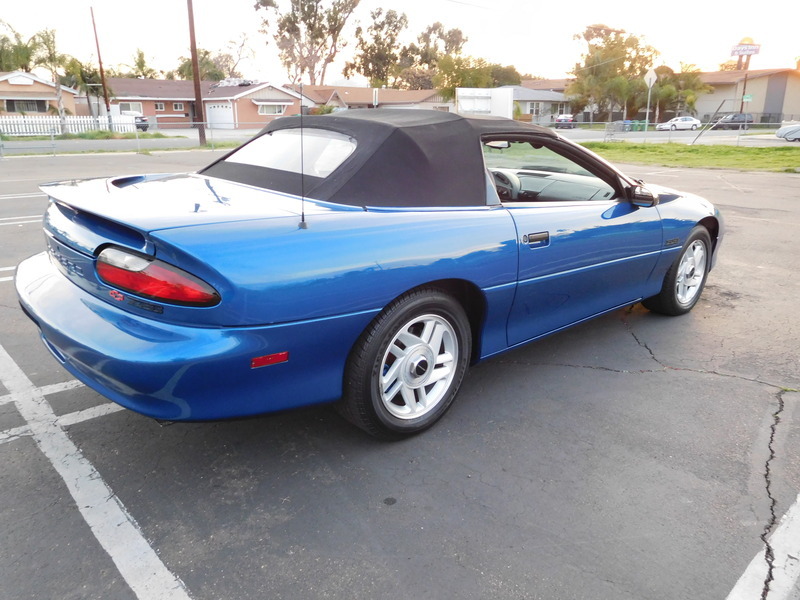 The fourth-gen LS1/T56 Z28 was really fast for its time, had maybe the best stick-axle chassis anyone's ever done, and it was really cheap. Godalmighty, people, the big engine, the 6-speed box, the Torsen rear, the big brakes, the big tires, all that crap costs REAL MONEY. You'd have spent $10K in the aftermarket putting that stuff in a Mustang. And it's not GM's fault that the target buyer for a cheap fast car is ALSO a horrible insurance risk and priced accordingly. What sunk the car in the end, though, was that the fast versions of a car like this only exist because the automaker can sell a flood of the cheap ones, and share parts with other product lines. The Z28 was a much faster and generally better car than the Mustang GT of the day, but the college-girl Mustang had more little-pickup parts in it than the Camaro, so was cheaper to build and Ford could push the thing out the door in big numbers.